Asus ROG Phone was first introduced during Computex 2018 and after a few days of launch, it was made available in many countries. Now, Asus has made it official in India. It will be available in Black color and can be purchased exclusively via Flipkart at ₹69,999 starting 29th November 2018. Regarding accessories, the Professional Dock is priced at ₹5,499, GameVice at ₹5,999, TwinView Dock at ₹21,999, Desktop Dock at ₹12,999 and the ROG Phone Case at ₹2,499. Buyers can avail a special no-cost EMI (6, 9 and 12 months) on all credit and debit cards. Under this scheme, the ROG Phone will be available for purchase by paying an EMI starting at ₹5,833 per month for 12 months. Flipkart is also offering Complete Mobile Protection Plan worth ₹5,999 at ₹999 only. Additionally, Jio users performing recharge of ₹509 plan will get ₹5,000 Instant CashBack in the form of 20 vouchers of ₹250 each which can be redeemed upon subsequent recharge of ₹509 via MyJio App. Under this Jio offer, Customers will get the benefit of 4GB/day data along with unlimited voice for 28 days at an effective price of ₹259. Apart from these offers, buyers will also get many Asus Flagship Service Experience such as Invoice free walk-in, Free Pick and drop and Device swap at service centers. 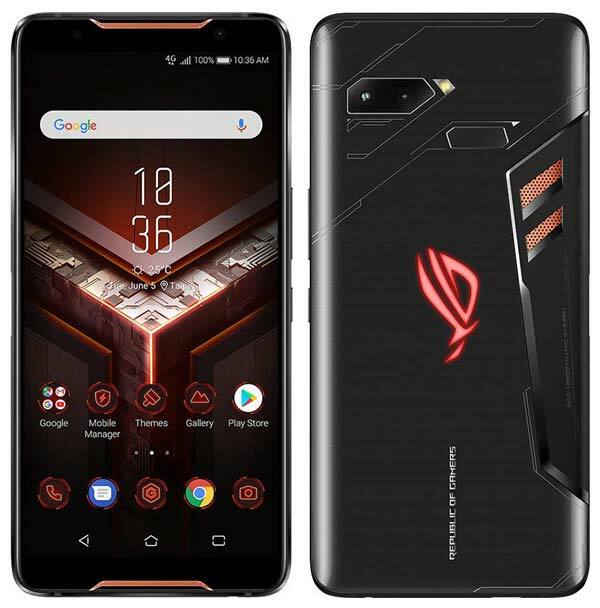 Earlier – Global Launch (4th June 2018) – The Asus Republic of Gamers today announced its first Gaming smartphone ROG Phone at Computex 2018. This smartphone is specially designed for high-performance mobile gaming and also equipped with GameCool vapor-chamber cooling system with detachable AeroActive Cooler for an extra cooling. It is powered by the Qualcomm’s Snapdragon 845 Mobile Platform clocked at 2.96GHz with gaming-optimized Adreno 630 GPU paired with massive 8GB of RAM. The ROG has a 6-inch AMOLED display and equipped with unique side-mounted ports and enhanced ultra-responsive game controls including two programmable ultrasonic AirTriggers and advanced force-feedback system. Apart from the powerful gaming specs, it also includes dual rear cameras with 12MP+8MP sensors and 8MP front camera with 84° wide-angle lens. illuminated rear ROG logo with lighting schemes – Static, Breathing, Strobing etc. The Asus ROG Phone will be available this summer with storage configurations – 128GB & 512GB and both will come with the AeroActive Cooler. All the other accessories will be sold separately, and there is also a special bundle will pack all of them into a suitcase with the high-end version of the phone. Asus has yet to announce the pricing.